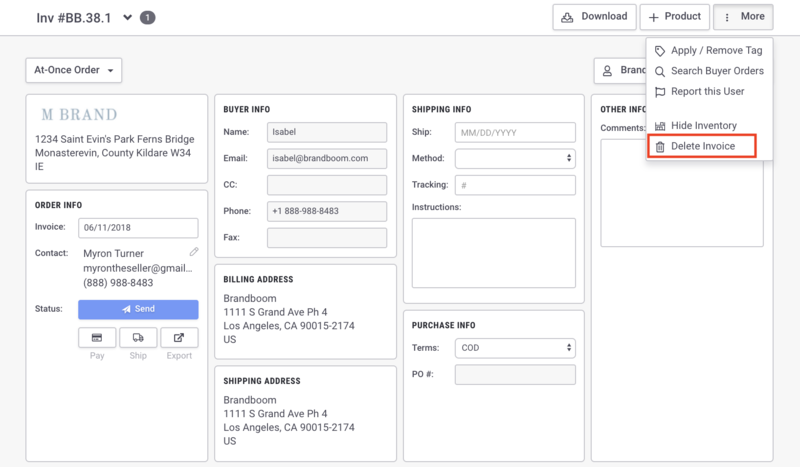 Open the invoice, click More in the upper right hand corner, and then select Delete Invoice. You will be asked to confirm whether or not you want to delete. If there are already payments made towards the invoice, you will have to delete the payments before you can delete the invoice. Once an invoice is deleted, the products in the deleted invoice will be unlinked and you can add them to another invoice. Deleting invoice #1 will cause the next invoice created to be invoice #2 and so on.